Dear Monica, It has helped a lot. I’ve heard from many people about how much it has touched them, and some information came forward too because of this site that I didn’t know for 40 years. I believe this site will bring my answers, and I believe it will be this year, the 40th year of Jamie’s disappearance. Bless you Monica for all the love, hope, and help you offer those of us who suffer missing loved ones. So sorry for your loss and the incredible pain of not knowing. You are in my prayers. Thank you Monica and Lee. Tonight a kind wonderful man from PDXMicro has nearly free of charge worked tirelessly in repairing my computer because of my sister, knowing that precious irreplacable documents were held in my computer regarding Jamie’s case. It is because you have so beautifully portrayed Jamie and the struggle to bring her home. You are no longer alone. We are there for you, right by your side. We understand your pain, and the craziness of not knowing. When ever you need us all ya gotta do is just call and we’ll be there, in a minute!!!! Your an inspiration to us we truly admire you and your determination! What a pleasure meeting you, we will be by your side in Olympia. Thank you Monica for this beautiful web site for Jamie. God Bless you always for all you do for the missing and their families. You are a special angel. I just heard about this case on a blog radio site. I have lived here since the late seventies but had never heard of the case, though I had heard of the woman’s body found in the grist mill. This is tragic. I’ve contacted the Reflector newspaper (local) to see if they’ll run a story on this. Maybe it could generate some tips. I wish I could adequately express my concern for the sorrow you have had to endure. Dear Victoria, thank you. I am always so amazed at how this serial killer got so little publicity or news coverage, considering just how many girls he killed and just how brutal the murders were. Did you hear back from the Reflector newspaper? Thank you so much for taking the time to comment here. Bless you so much for that. 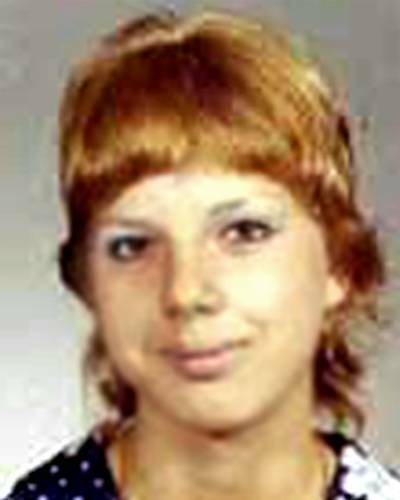 I’m praying Jamie comes home this year, the 40th anniversary of her disappearance. I hope that soon you will find the answers you seek, and that this will somehow ease your pain. In the meantime, I pray that God will bless Jamie’s loved ones with the peace that passeth all understanding. God bless you Monica, you truly are an angel on earth. I found out about you via Facebook. At least it serves to something useful. I would love to caption a video about Jamie in Italian-she may be out there in anyplace in the world….I hope a solution is found. Thank you Deb Mia. You are right, she could be anywhere. I did not know your sister, but I served on the Jury that sent Forrest to prison. One of my goals in life is to make sure that he stays there. It won’t stop the pain or bring anyone back, but hopefully there will be comfort in knowing that he will never experience another day of freedom. Thank you Jury member. I know you helped to save many more girls lives. I really, really hope you find answers soon so you can ‘close the book’ for your sister and your own sakes. I can’t imagine how traumatic 40 years without knowing might be. I really hope there will be news in this case. God speed to you all. amazing website! hope you can find your sister ! Dear Alicia, I am so glad you managed to get away. What state was this in? My sister Jamie disappeared in December 1971 too. It seems serial killers were busy that month. I am so glad that you managed to get away. Thank you for your kind words. Dear JP, I am so glad you didn’t. Was that Ted Bundy? Dear Alicia, would you mind sharing with me what state this was in? Or even possibly the city? Now it’s been 41 years and counting for justice for Jamie. December 7th, just two days ago was Jamie’s 41st year of not receiving justice. Where is she Warren? continuing to pray that he comes clean or that Sheriff’s office finds more evidence.